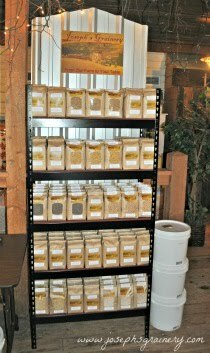 Do you like coffee? Do you like chocolate? Do you like a light, yet decadent dessert? 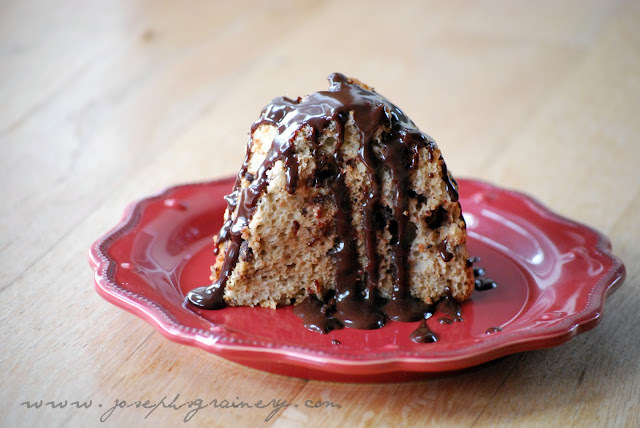 If so, MaMa and I would like to introduce you to an amazing dessert - the Whole Wheat Mocha Chip Angel Food Cake served with a chocolate ganache. Yum! 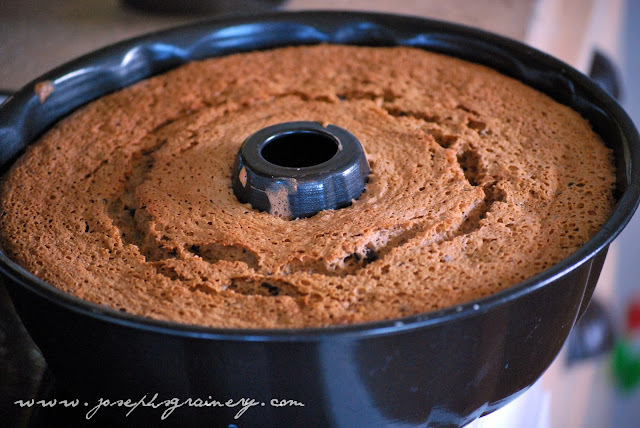 At first I thought MaMa had fallen off her rocker when she said she was going to attempt an Angel Food Cake (since I am an expert in the kitchen at 2 1/2 years old) with whole wheat flour, but she was smart about it and boy, was it ever good! Directions: Preheat your oven to 350 degrees. In a small bowl stir together the instant coffee, vanilla, and 1 Tbsp water until the coffee dissolves. Set aside. In a large bowl, using a mixer, beat the egg whites on medium-high until foamy - about 1 minute. Add the cream of tartar and beat until soft peaks form - 4 minutes. Continue to beat, gradually adding the sugar, until stiff glossy peaks form - about 2 minutes. Sift the flour and salt into the egg mixture in three additions, gently folding with a rubber spatula after each addition. Gently fold in the chocolate chips and coffee mixture. Spoon the batter into an ungreased angel food cake pan. With a knife, cut through the batter to release any air bubbles. Bake until the cake is golden brown and springs back when lightly press - about 30 minutes. 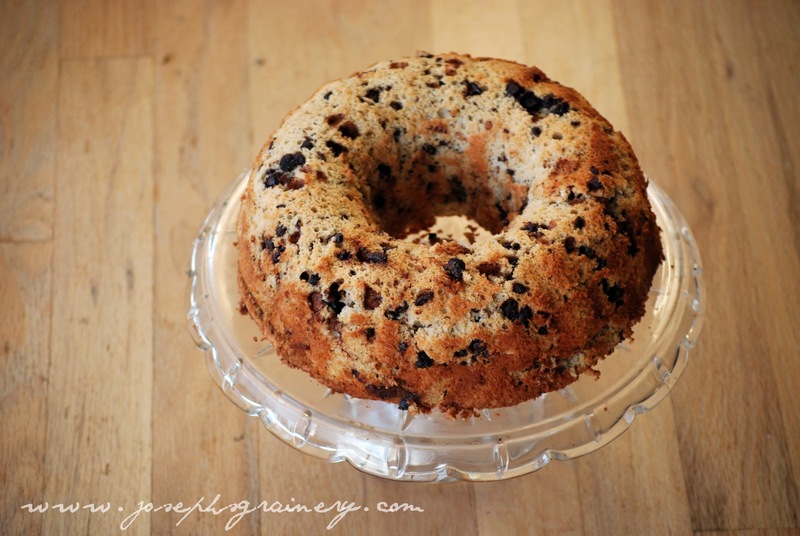 Don't have an Angel Food Cake Pan? Neither does MaMa, so she used her bundt pan...worked great, you might want to lightly grease it though. Invert the pan on a baking sheet; let cake cool in pan, 1 hour. Run a knife around the pan and center tube, then unmold the cake. To serve it with the Chocolate Ganache, place 1 c semisweet chocolate chips and 1/2 c milk in a medium heat proof bowl set over (not in) a pot of simmer water. Stir until chocolate melts and mixture is smooth. Remove from heat and drizzle over the Mocha Chip Angel Food Cake. Enjoy! 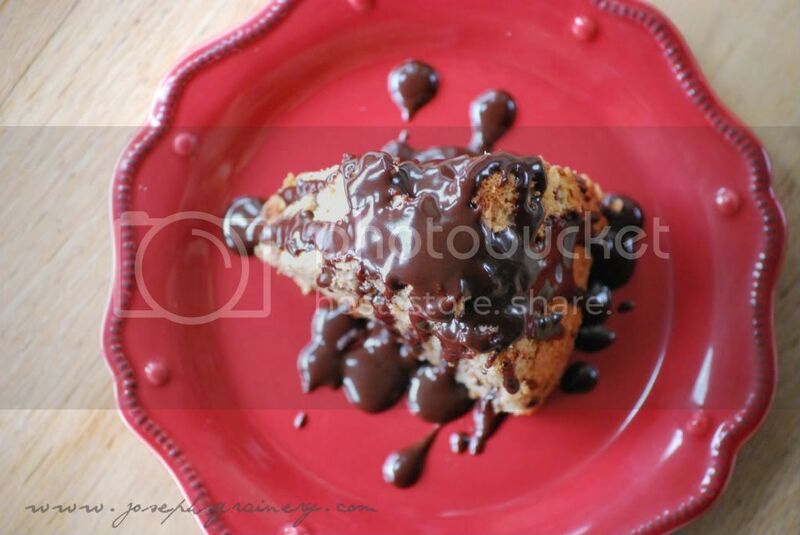 Whole Wheat Mocha Chip Angel Food Cake gussied up with a Chocolate Ganache. This recipe was adapted from one we found in Martha Stewart's Everyday Food .